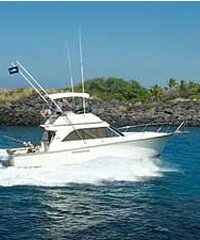 Hawaii Deep Sea Charter Fishing is the best! 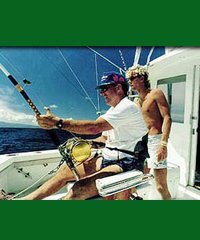 When I was a kid, my grandad used to take us shoreline fishing. Always hoping for that big one. We scored pretty often. 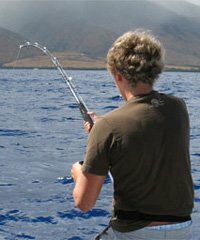 Giant trevally (ulua), bonefish (o'io), even shark once in a while. 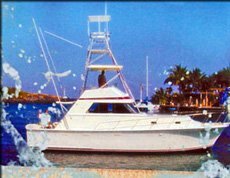 We'd throw net, looking through the water at the fish along the rocks. 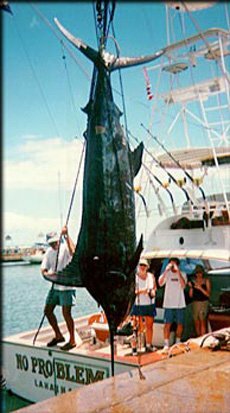 Dunk our baits in and wait...Back in those days, it was legal to take turtle for meat. 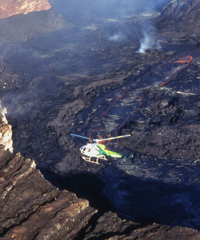 (The Honu is now protected as an endangered species) These days you can see them along any shoreline in Hawaii feeding among the rocks and reefs. 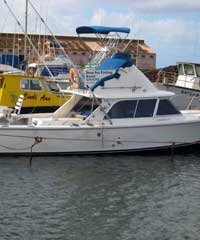 Then, my dad bought a boat. 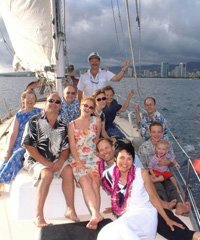 We worked on that thing for months, making sure everything was perfect. 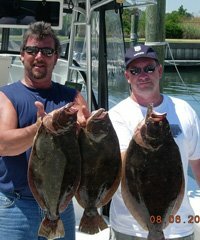 Then we went fishing. 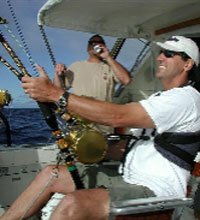 Deep Sea Fishing. 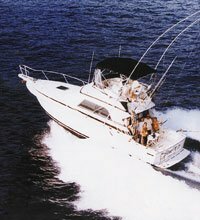 Charter fishing, Bottom fishing, trolling... Oh yeah. 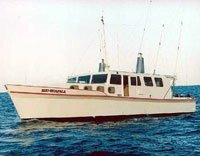 I became a Charter Fishing Skipper myself in the 70's and ran out of Nawiliwili harbor and Port Allen on Kauai for years. 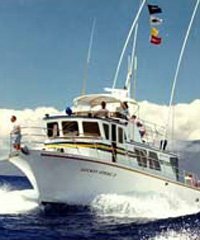 Deep Sea Charter Fishing in Hawaii took us to fish out of Kona and Hilo Bay, off Oahu from Pokai Bay, Honolulu and Kewalo Basin, off Maui from Ma'alaea and Kahului, and Kauai... Not to mention Niihau, Nihoa and the Leeward atolls. 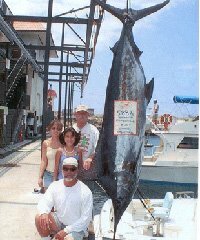 We partcipated in fishing tournaments statewide, and our boat even brought in a few IGFA record fish. 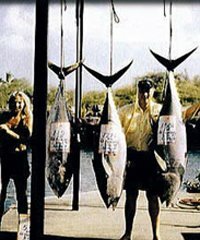 A giant Skipjack tuna (Aku) in the womens unlimited class, a Short-nosed spearfish, and a record sailfsh (A'u Lepe) as well. 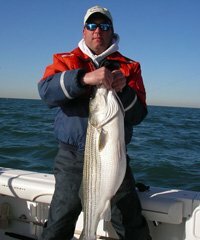 Although record fish are few and far between, they are still out there. 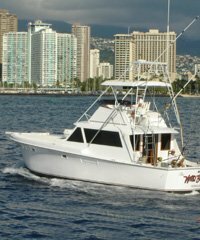 Maybe you could get one if you were out there on a Hawaii charter fishing tour. 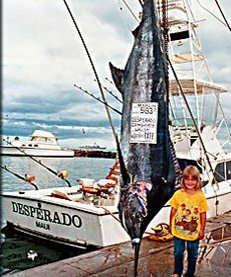 Deep Sea Fishing in Hawaii was a big deal back then, being able to catch and eat the rarer delicacies, and it still is today. 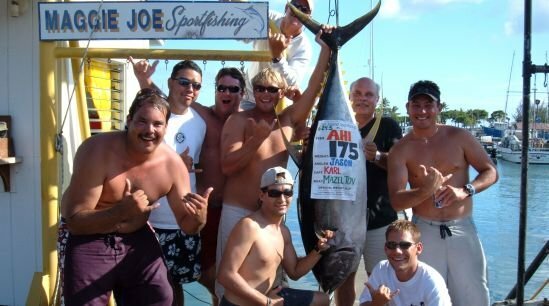 But in Hawaii, what everybody wants to know about the Deep Sea Fishing is Where? When? With Who? 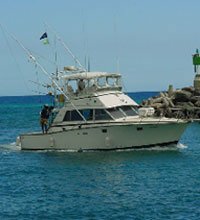 What are we likely to catch? 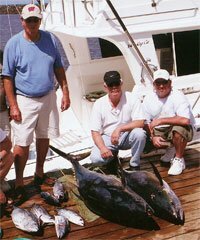 Marlin, Ahi (Yellow Fin tuna) Sailfish, Mahimahi, Wahoo (ono), Aku, Kawakawa, and so many other varieties of fish. You know what they say? closer to the ocean you live, the more expensive the fish is in the markets. 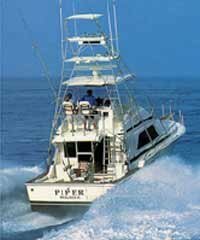 So, since you'll have to pay so much for fish anyway, Why not charter a boat and have some fun fishDeep Sea fishing? 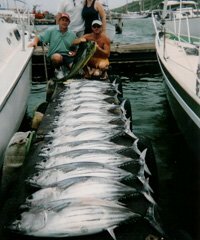 Troll the thousand fathom line run with any one of our charter skipper friends looking for that big one. 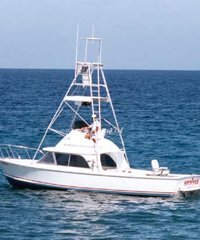 Anchor or drift the inside for that dinner catch. 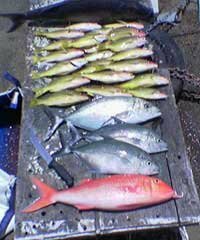 Load up on Opakapaka (Pink Snapper) Ulua. 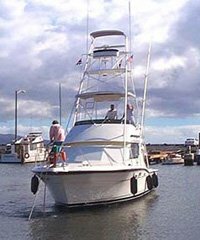 Fish off Kona for marlin, Hilo, Honolulu, Maui, or Kauai for yellow fin tuna or even a sailfish; these skippers know what they're doing. 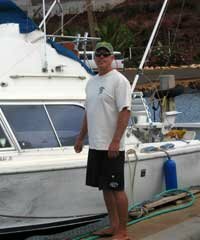 Many of our Charter Captain friends have been fishing for over twenty years. 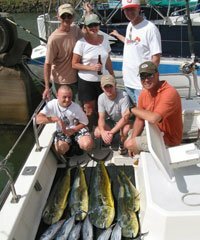 Trolling off any Island, live bait for Marlin or drift for mahimahi... 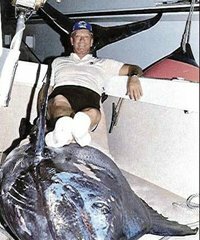 It's all good fishing. 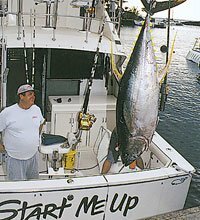 The summer months bring the BIG AHI Tuna to Hawaiian waters - the two hundred pounders - but we catch yellow fin of different sizes all year round off all islands. 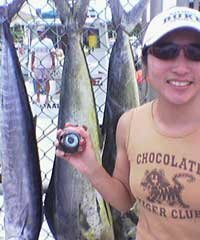 In September and October, we get to see Mahimahi and Ono (Wahoo) in abundance. 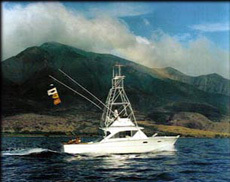 Marlin (A'u) are a picky feeders but are around all year as well, off all islands. 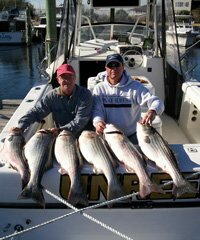 Hey, there is no such thing as a bad time to go fishing. 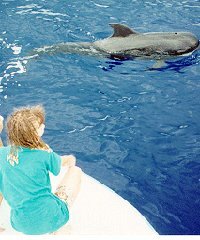 And going out into the Deep Sea could be just what the doctor ordered! 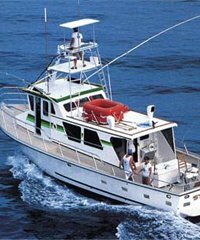 So Try your hand at Hawaiian Deep Sea Charter Fishing!! 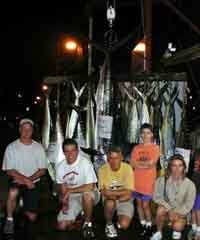 Whether you are on the East Side, North Shore, South Shore, or the West Side of any island, THe fishing is great! This could be your lucky day. 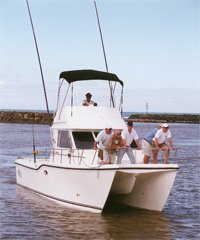 Just remember to check the tides before you go!